With the ME & U swing from Busk+Hertzog for Softline you can bring the seating one level higher. 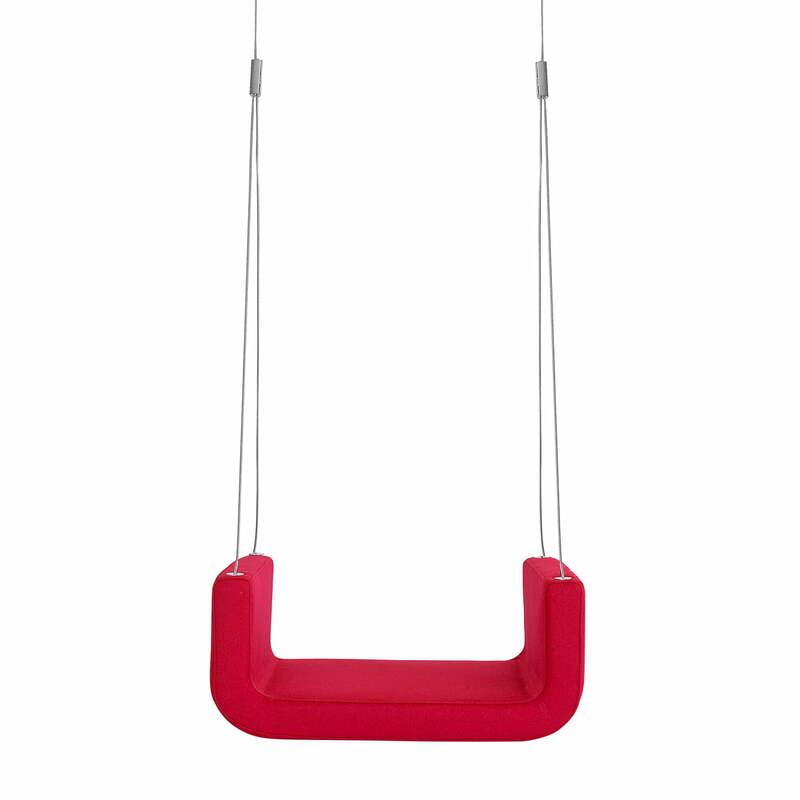 ME & U is a soft, padded swing suspended from a steel cable on the ceiling. At the dining table she provides a special seating experience and in lounge areas or hotel lobbies she brings a playful touch. Placed in the children's room or living room, it provides an eye-catcher and inspires both adults and children. 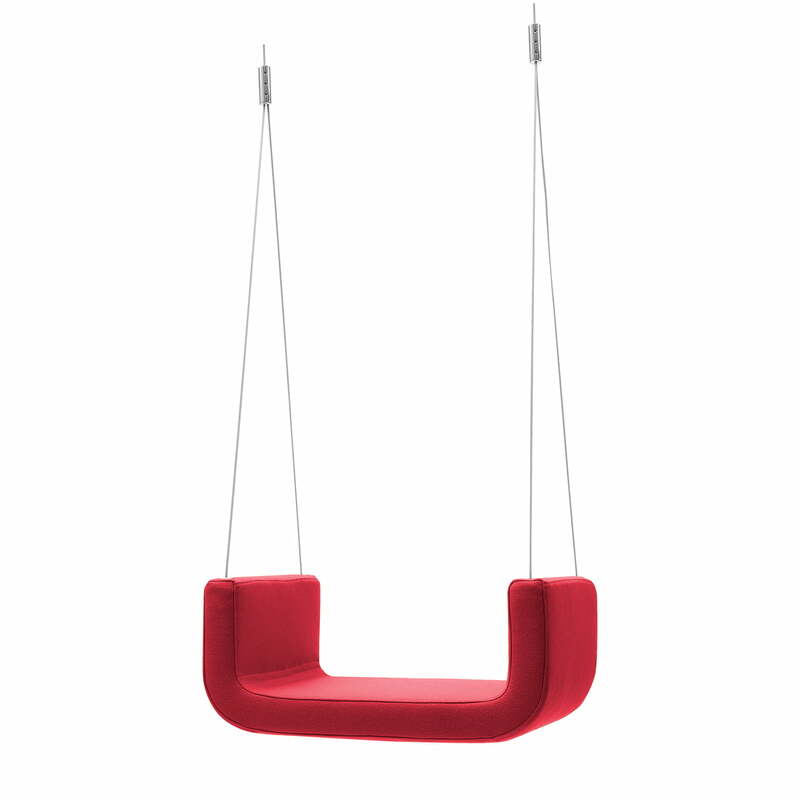 The indoor swing is suspended from a steel cable with a maximum length of 2.5 metres. Padded and available in various covers and colours, it adapts perfectly to every taste and ambience. The maximum load is 80 kg. The ME & U swing from Softline in felt light red (588) in single view. 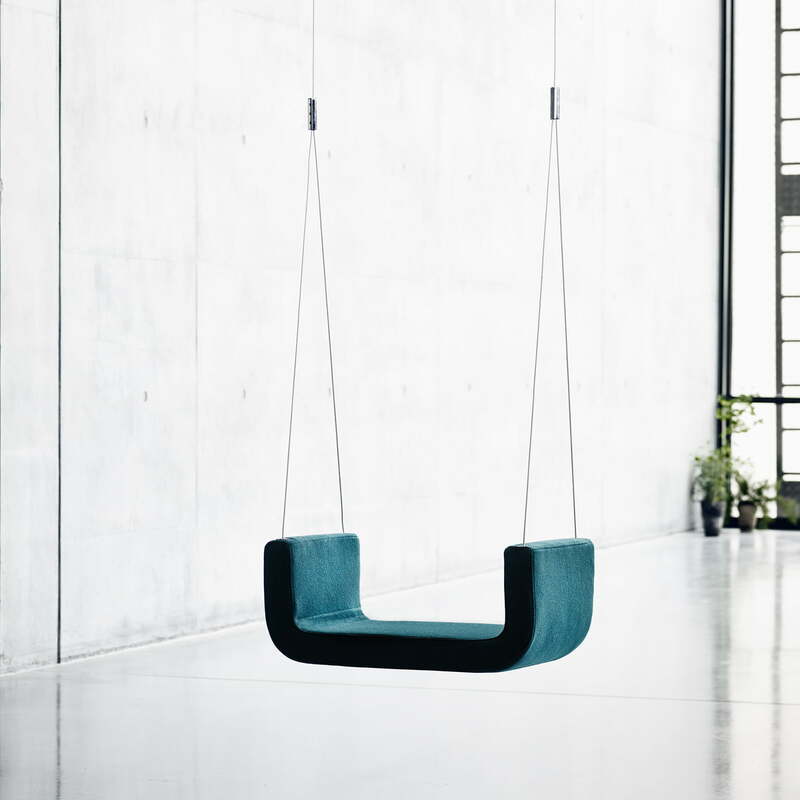 The indoor swing is suspended from a steel cable with a maximum length of 2.5 metres.